Portbury Wharf Nature Reserve is open 24/7 and access is free. Portbury Wharf Nature Reserve is a popular place for walking, cycling and running, as well as wildlife watching. We hope you enjoy your visit here. The paths are flat or gently sloping and walking shoes are usually adequate. Though, if you plan to head down the seasonal or salt marsh tracks you might need boots if conditions are wet and muddy. Nestled between Royal Portbury Dock and Portishead this 150 acre nature reserve is 7 miles west of Bristol on the Severn Estuary. 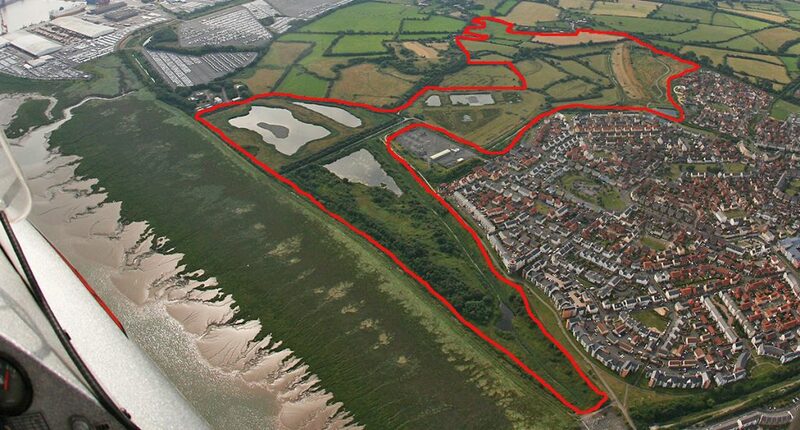 The nature reserve is not far from Sheepway, Portishead Marina and the Village Quarter. See the map below for approximate distances. From Junction 19 of the M5 motorway, take the A369 to Portishead. Take the first right into Sheepway by the pedestrian bridge. You can access the nature reserve from two points along Sheepway. There are 2 places to park along Sheepway both with walking access directly onto the nature reserve. 1. take the second right into Wharf Lane and park at the end (free but limited parking). 2. by the disused railway bridge on Sheepway (free but limited parking). This is on the right just beyond Wharf Lane (coming from M5 exit). Alternatively you can park in Portishead Marina at the end of Newfoundland Road (pay and display). There are 3 hides on the reserve. Two hides overlook the North Pool; the North Pool Hide which has wheelchair access and the Tower Hide pictured below. There is also another hide overlooking the South Pool. There are no toilet facilities on the reserve and the nearest cafes and bars are in Portishead Marina. It is important to give wildlife room to feed and rest undisturbed. People and dog free zones include the Sanctuary, a gated area surrounded by a moat, the pools and the rhynes. In other areas following the countryside code is always the best approach. 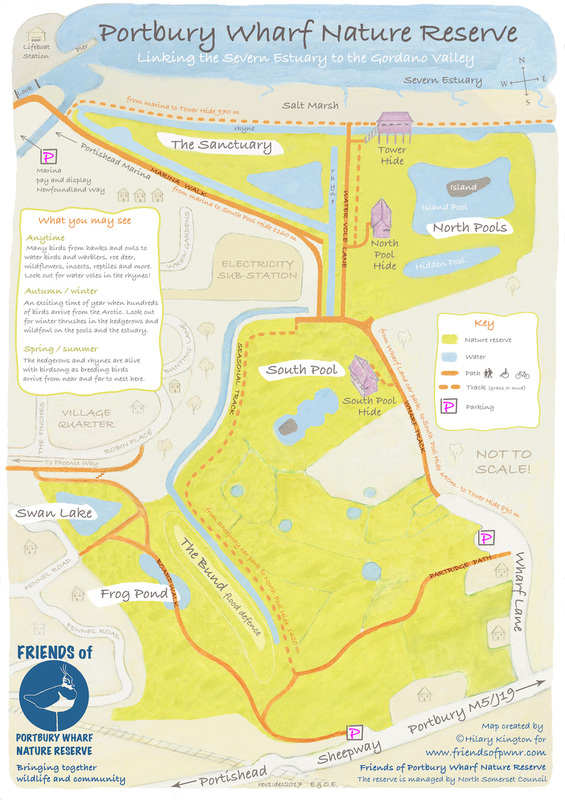 If you walk your dog here and would like some wildlife friendly tips, check out Walking the Dog. Error: Error validating access token: Session has expired on Sunday, 31-Mar-19 15:12:08 PDT. The current time is Saturday, 20-Apr-19 13:58:45 PDT.